Vintage trends are everywhere nowadays and we are getting used to them very fast. You’ll agree with me that there is no effort at copying what other did in the past. It might seems that top brand identity designers are running out of creativity. However, there are some good reasons to take a look back at the past. Not always can corporate branding designers stay on the cutting edge while designing for a giant as Coca-Cola. Sometimes you need the summer to appreciate the winter. Coca-Cola has recently launched their new corporate branding design. It’s no wonder that it really smells like vintage spirit, they’ve come back to red, always red. I’ve been hearing some critics about it. Some people say that it make no sense to come back to past brand identities of a company. Well, I completely disagree. Thinking about a brand as it, which have a continous exposition to milions of people everyday it’s necessary to make changes every year not to go out of fashion. Having a corporate colour like red it’s hard to refuse it. 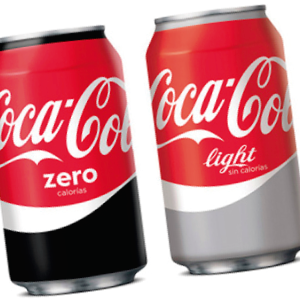 So it’s no wonder that Coca-Cola designers will come back to red as many times as they want because red is their flag. They stablished red as the colour of happiness and they painted Christmas red, isn’t it enough for you? Coming back to Coca-Cola’s origin would be always a great strategy because you’re coming back to childhood, you’re recovering your happiness. Trends may come and go, but a good logo is forever. The need of being in constant evolution means to make mistakes, and it’s well known that Coca-Cola top brand identity designers make some of the biggest ones in history. But here is Coca-Cola today, as big as always, stronger than ever. At the end Coca-Cola has such a strong brand to keep its great reputation high, even if their branding designers shot them in their feet. As we said in a recent article: trends may come and go, but a good logo is forever.